Thread: 2019 Pre-Orders, New Releases, Upcoming Models, etc......l The Big List!! This is a continuation of the thread from the last 3 years that we try to post all the new releases related to our favorite hobby. This is simple thread with limited rules. 1. This is purely an informational thread so when you post try to provide the following info. 5. All watches are acceptable there is no imaginary line of what price or style is acceptable. Keeping with forum rules no Replicas please. thejollywatcher, Tanjecterly, V.I.T. and 9 others like this. Re: 2019 Pre-Orders, New Releases, Upcoming Models, etc......l The Big List!! mplsabdullah, Ojibway Bob, Milehigh981 and 7 others like this. There is only one I'm really looking forward to in 2019; the Aevig Huldra II. Prototypes are expected in Q1 2019. The Huldra I was awesome, but a bit big for my taste. The Huldra II will be 40mm and the blue one will come back. Can't wait to have it next to my Corvid Auto champagne dial. 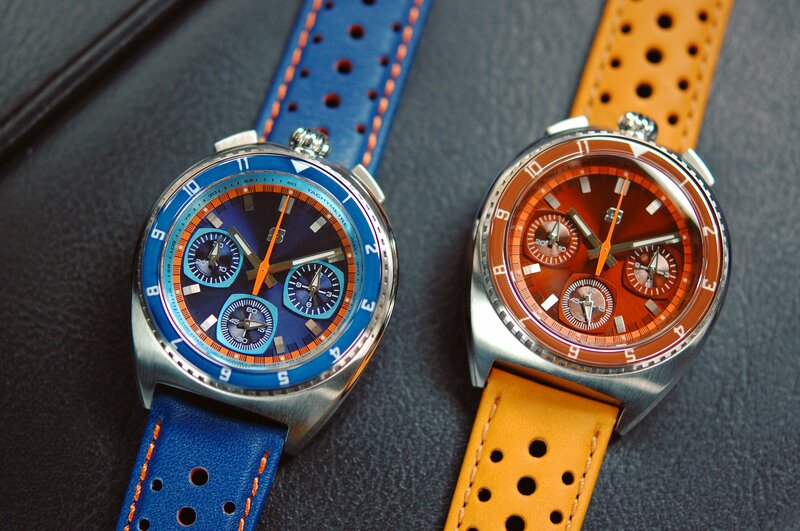 Well, and maybe the Tudor 58 if they will release a blue one. Milehigh981, Ot1S, robbery and 9 others like this. Q1 Kickstarter. Akuratime out of Scotland. Everything about the design just works for me. Specs are pretty good as well. Pneuma, Milehigh981, nogood and 1 others like this. Loving the look of this one. Especially the red. Did anyone track how many watches the thread last year introduced/watched? Thanks for getting the thread started for another year. This is one of my favorites and there is always a bit of excitment when I see there is a new post added to it. COZ, Tarak Trisaltuol, gormless and 1 others like this. All the best to all my watch pals in 2019. Yes, it's a quartz, BUT it's somewhat unusual. This watch is being made, in part, because I sent an email to Momentum watch last year asking, "Why don't you folks make a watch with a countdown bezel timer?" and a month later I found myself corresponding with Simon Pennell, the CEO of Momentum. He said he'd think about it. Then several weeks ago he sent me this photo of a countdown Momentum Torpedo that they are planning to make in limited quantities, likely at the beginning of 2019. The stats will undoubtedly be like the other Torpedos: 44x12.3mm, 200 meters, 3-5 year battery, full lume face, sapphire upgrade available. Don't know the price of the C-down Torpedo, but the basic Torpedo Nylon can be had for under $100. No website address for this watch yet, but you can view other torpedos at momentumwatch.com. Other than the email correspondence, I've no affiliation with Momentum. I *do* think they offer a lot of bang for the buck, though. Last edited by bolster; December 22nd, 2018 at 20:55. SteamJ, redhed18, Quincas and 9 others like this. Quincas, PFM, tommy_boy and 7 others like this. 2018 Pre-Orders, New Releases, Upcoming Models, etc......l The Big List! !